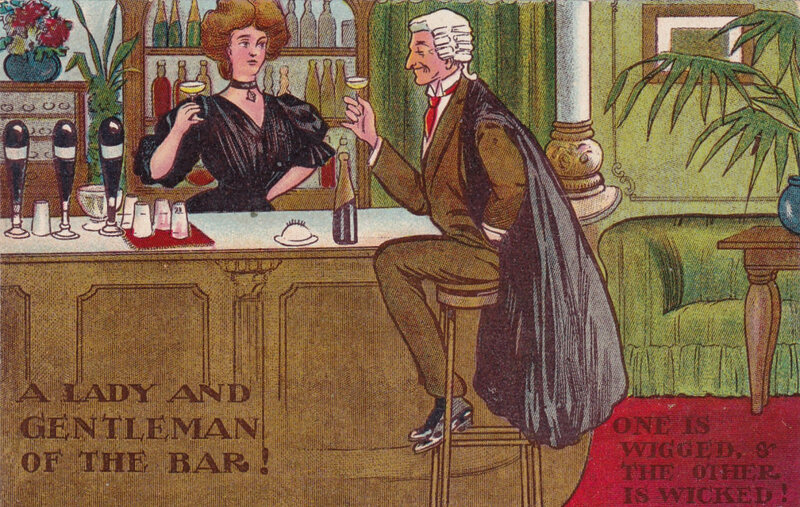 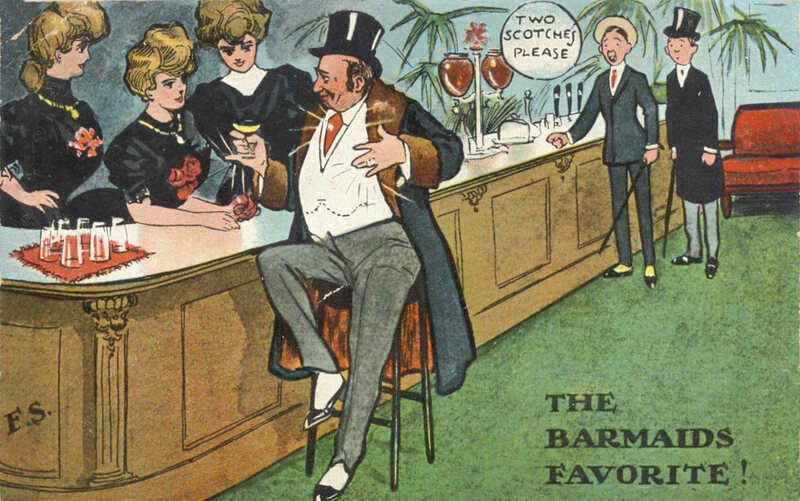 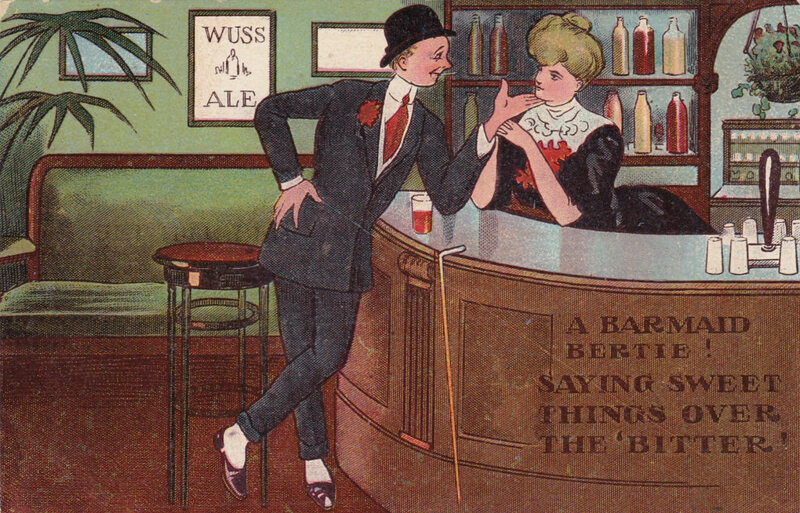 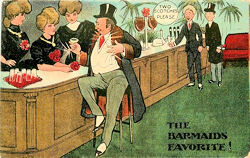 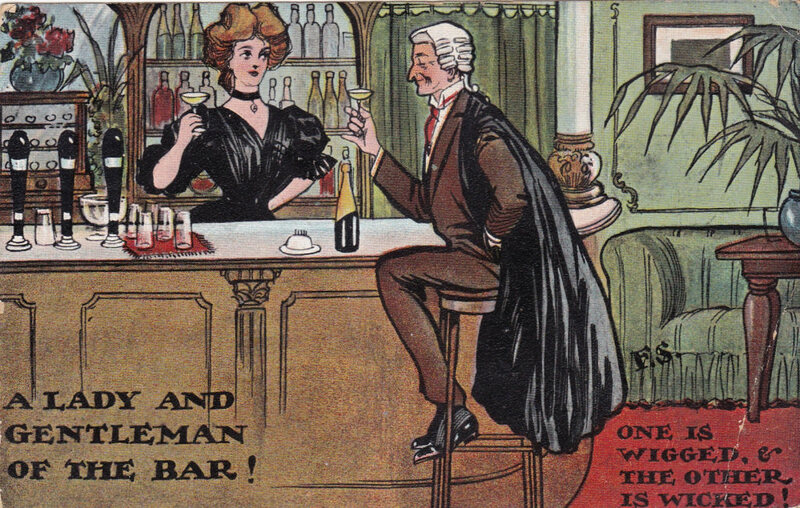 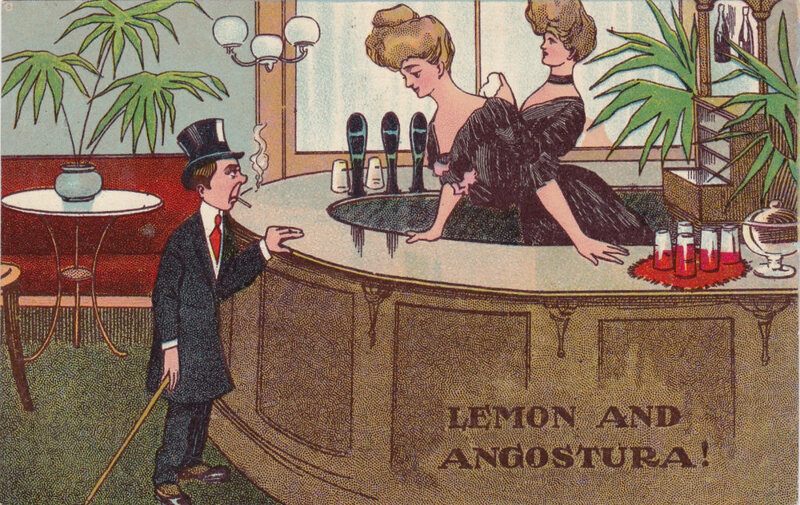 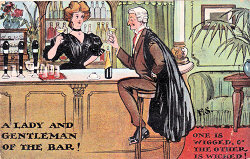 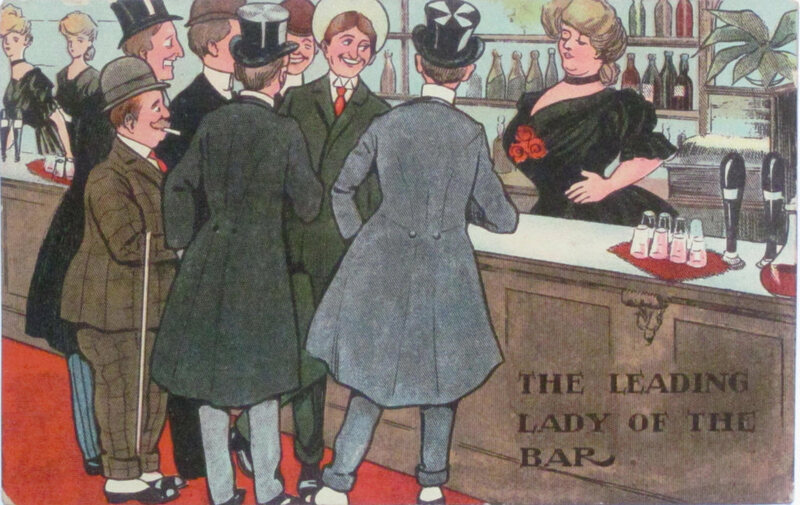 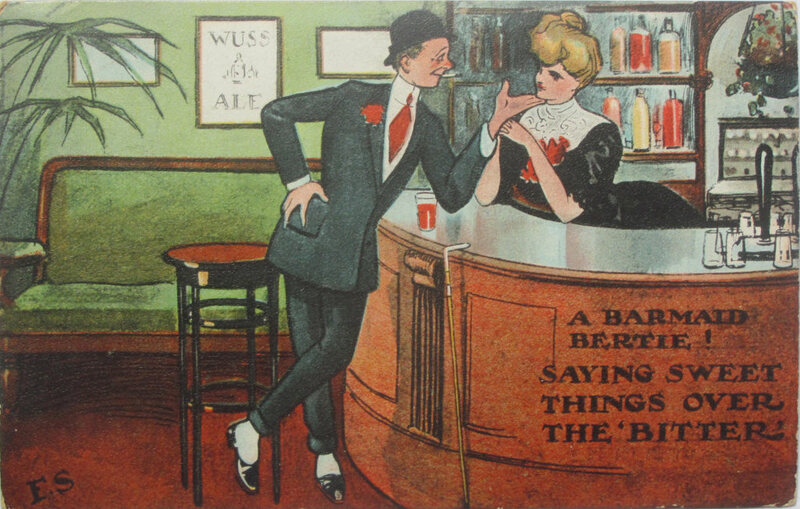 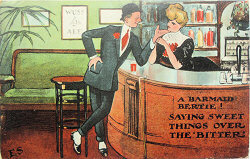 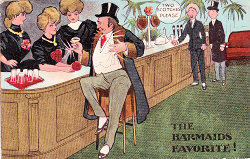 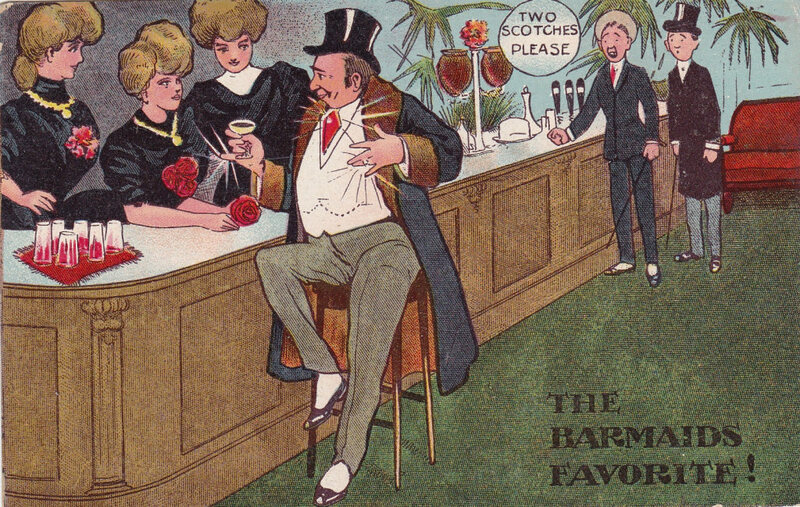 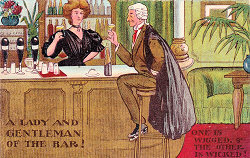 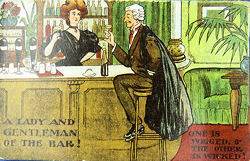 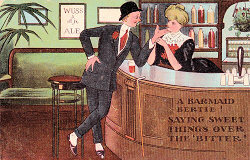 The Barmaids series was one of the last sets of six signed "F S" cards to be printed for the London View Company Ltd by the usual Saxony printer. The initial printing was on two different backs - one with no publisher name and the other with an ornate typescript "L V C" logo and the words "London View Co. Ltd, E.C." along the left margin. 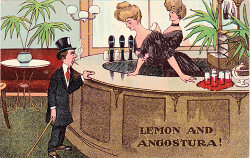 .As the London View Company closed down in August 1907 these cards must have been ordered before that date but the apparent absence of any copies circulated in 1907 may indicate that the initial distribution was been delayed, and may even have been by a firm such as John Thridgould & Co, which sold assorted packages of cheap (and possibly bankruptcy stock) cards. The original master drawings clearly survived and were used to produce two further unsigned reprints, appearing in 1910 and by 1914. 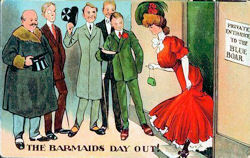 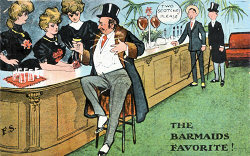 All six cards are recorded in the Picture Post Card Magazine of March 2009.